"To remain eligible for listing on the Federal Motor Carrier Safety Administration's (FMCSA) National Registry (NR) and as required under 49 CFR 390.111(a)(5)(i) Certified Medical Examiners must maintain medical examiner certification by completing training and testing requirements. FMCSA will provide the required (5) year refresher training online to Medical Examiners at no cost. Medical Examiners eligible to take the (5) five-year periodic online training will be notified by FMCSA when the training is available and the examiner is able to access the training site." 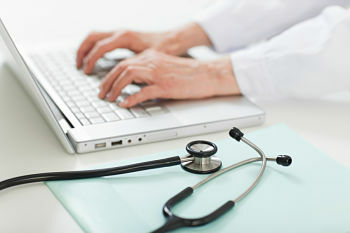 Please insure your National Registry account Profile information page is accurate and current. Presently the refresher course in not available. Certified medical examiners will not be removed from the national registry under this rule. 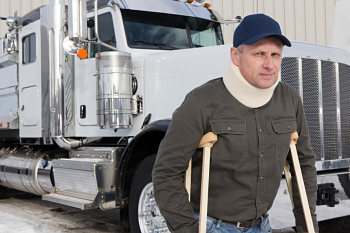 Certified medical examiners will be notified by the FMCSA via email when the training becomes available. For any questions or concerns regarding refresher training please contact the FMCSA Medical Program Office at 202-366-4001. Beginning on Dec. 22, health professionals will have to use new forms for the Medical Examination Report (MER) and the Medical Examiner’s Certificate (MEC). Approximately one-third of adults in the U.S. are overweight and the country’s trucking industry is not exempt. The Federal Motor Carrier Safety Administration’s (FMCSA) main task is to ensure that interstate commercial trucks are operated safely. This requires the agency track and create regulations addressing health conditions that may make driving more dangerous, including determining which should disqualify applicants for commercial vehicle licenses.